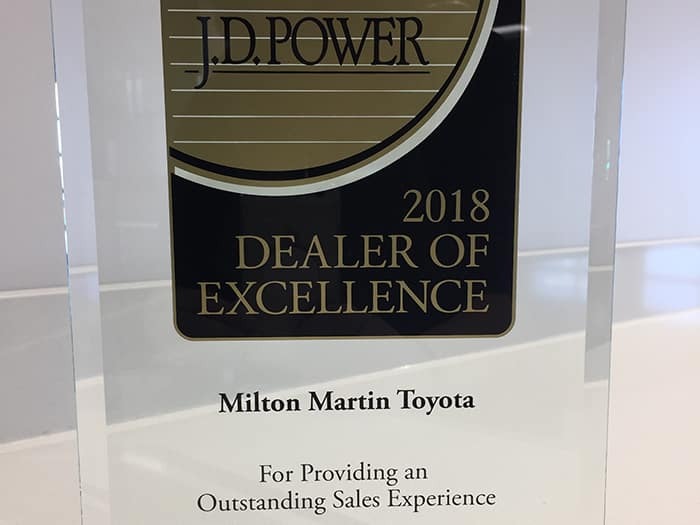 Milton Martin Toyota has been recognized as a J.D. Power 2018 Dealer of Excellence! Second, interested dealerships must rank among their brand’s top performers in key customer satisfaction areas consistent with measurements found in J.D. Power’s Sales Satisfaction Index (SSI) Study℠. J.D. 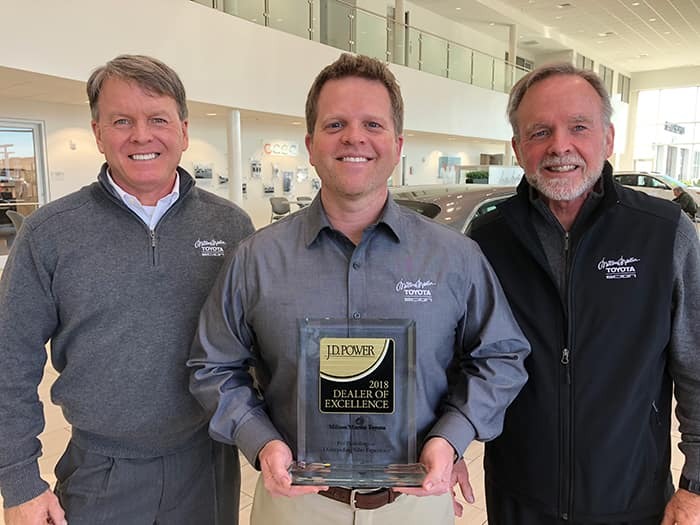 Power 2018 Dealer of Excellence Program recognition is based on achievement of high scores from automotive manufacturer customer research and completion of an in-dealership best practices verification visit. For more information, visit jdpower.com/DOE. *Subject to change. Standings based off of data on 3/1/18.